Arntjen established his first company in manufacturing stable equipment. It all started very small in a car garage on his home farm in Oldenburg. His very first Lighting Ridge was designed and manufactured. As a company doing business in the agricultural sector, we can look back on a successful company history spanning 30 years. Thanks to locations in Canada, Poland, Russia as well as our partners in other European countries, we have become a global supplier and service partner to the agricultural sector. Since the end of the 1990s, we have managed to expand our range of services to the solar energy sector. Our website contains our current catalog and provides information on anything that has to do with Arntjen Germany. 1980 Business is growing and the first employee is hired. In Wahnbek (Oldenburg) a house with office and storage area is built. 1983 Business is expanded outside the Weser-Ems Area and in Wahnbeck is the first Storage Building established. 1990 New Employees are hired and the Office Building is expanding.. New Company’s are established for specialty areas throughout Germany. 1995 Personnal in Sales, Office and Distribution has reached more then 45 people. (since 2008 are now more then 70 employees in the Arntjen Group) A bigger and more spacious Office/House and 2 large shops are built in Rastede-Leuchtenburg. The Arntjen Clientele has grown to almost 12000 customers. The Sales Area expanded to Holland, Belgium, Luxumburg, Switzerland and Austria. The main sales goals involves the Dairy Industry. Cow Comfort ( Air, Light, Water, Eating and Resting Areas as well as Cleaniness) are the most important factors. 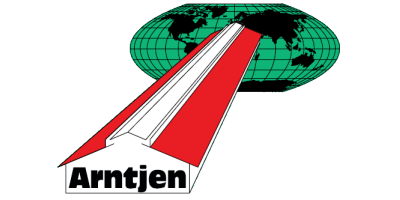 2003 The Arntjen Group is established internationally. The products are not only sold in North America, also in Western/Eastern Europe, Russia and Japan. Arntjen opens a Office in Ukraine to serve the eastern regions. Altogether there are 4 distribution centres available throughout North America, Poland and Germany. Since 1991 there are several Patents registered under Gerd Arntjen for ISO- Lighting Ridge and Curtain Systems in Germany, Europe and North America. Our new Product „ Hydro from the Sun“ – Solar Technique – is also very interesting for the agricultural field. „Harvesting“ free sunshine with help from Solar Modules is a very economical component for the future. 2008 Solar Establishments in Greece, North America, Tschechoslovakia, Netherlands, Belgium and Rumania are started.